Desalinated seawater is the main source of water for the GCC. Portable Water Treatment Plants are used to purify water for drinking purposes from untreated sources of water such as rivers, seas, lakes, and wells. Their main function is to eliminate pathogens, suspended solids, and unpalatable or toxic compounds. Techniques include heat (such as boiling), filtration, activated charcoal adsorption, chemical disinfection (e.g. chlorination, iodine, ozonation, etc. ), ultraviolet purification (including SODIS), distillation (including solar distillation), and flocculation. Often these are used in combination. Chlorine or Sodium Hypochlorite are mainly used for water chlorination in Portable Water Treatment Plants. These chemicals are used to kill certain bacteria and other microbes in water, as chlorine is highly toxic. In particular, chlorination is used to prevent the spread of waterborne diseases such as cholera, dysentery, and typhoid. Caustic Soda also is used to regulate the pH levels of water. Wastewater treatment refers to the process used to convert wastewater into an effluent (outflowing of water to a receiving body of water) that can be returned to the water cycle with minimal impact on the environment or be directly reused. The latter is called water reclamation because treated wastewater can then be used for other purposes. 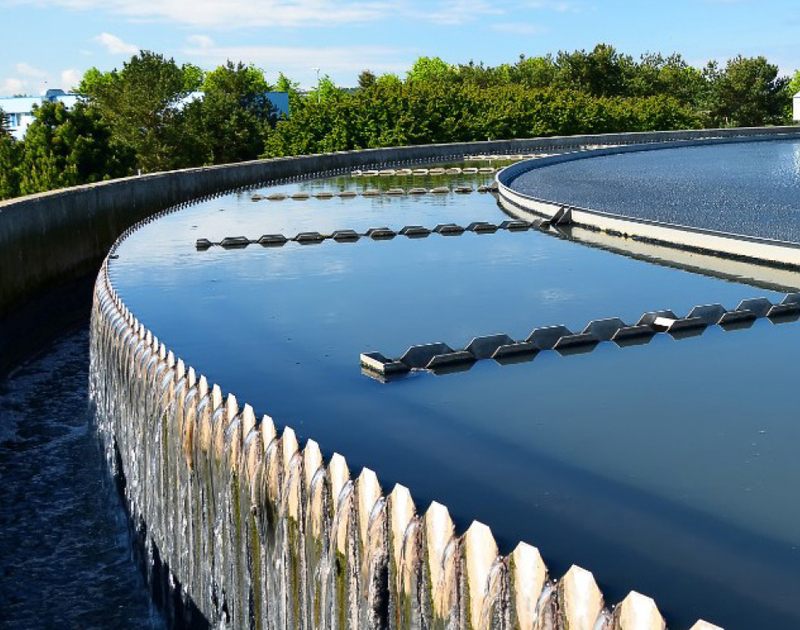 The treatment process takes place in a wastewater treatment plant (WWTP), often referred to as a Water Resource Recovery Facility (WRRF) or a sewage treatment plant. The treatment of wastewater is part of the overarching field of sanitation. Sanitation also includes the management of human waste and solid waste as well as storm water (drainage) management. By-products from wastewater treatment plants, such as screenings, grit and sewage sludge may also be treated in a wastewater treatment plant. Chlorination remains the most common form of waste water disinfection. Chlorine is used to achieve disinfection goals by eliminating bacteria and viruses. Caustic Soda is used as a pH stabilizer, metal precipitant, and alkaline cleaner. Ferric chloride is used to remove metal substances from the wastewater that would otherwise harm the environment and all living organisms. It is highly valued as a chemical which makes water safe to drink. In addition, Hydrochloric Acid is used to lower the pH of the wastewater. The main source of electricity in the Middle East is from oil fired or gas fired power plants which burn natural gas or petroleum to produce electricity. Cooling water towers, especially during higher temperatures, are susceptible to the growth of algae and slime. 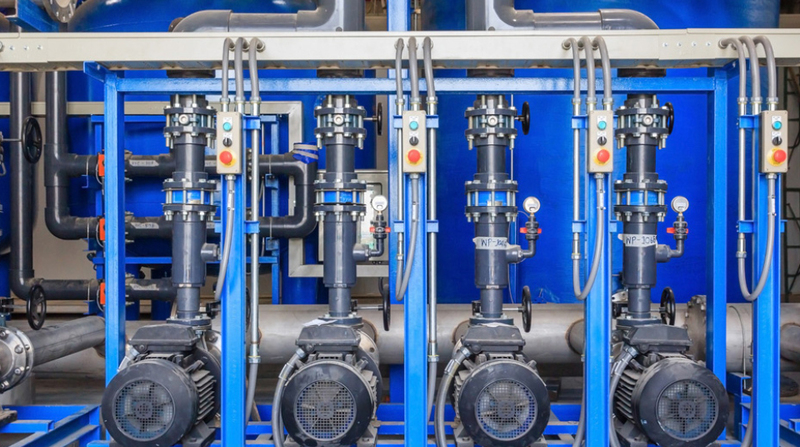 Chlorination, which uses liquid or Chlorine Gas, is conducted at various points of the overall process, such as during the intake water process, circulating water process, and water service process. Sodium Hypochlorite is used to eliminate bacteria during the treatment of water. Hydrochloric Acid and Caustic Soda are used for various purposes, such as during the chemical cleaning of systems and to regenerate the mixed bed resin used in condensate polishing systems. 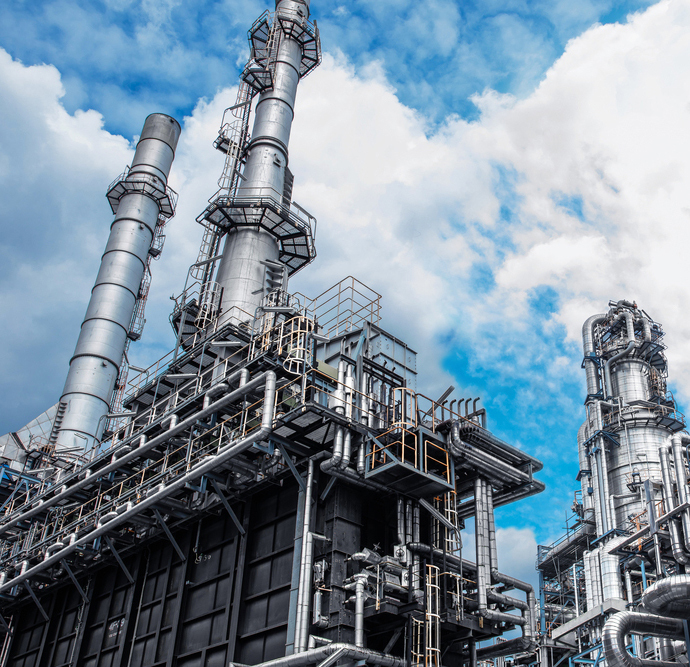 Oil refineries are industrial process plants where crude oil is transformed and refined into more useful products such as petroleum naphtha, gasoline, diesel fuel, asphalt base, heating oil, kerosene, liquefied petroleum gas, jet fuel, and fuel oils. Caustic Soda is used in oil refineries to remove impurities such as mercaptans and other sulfur compounds from petroleum products in order to meet regulatory specifications. This process is referred to as a “caustic wash”. 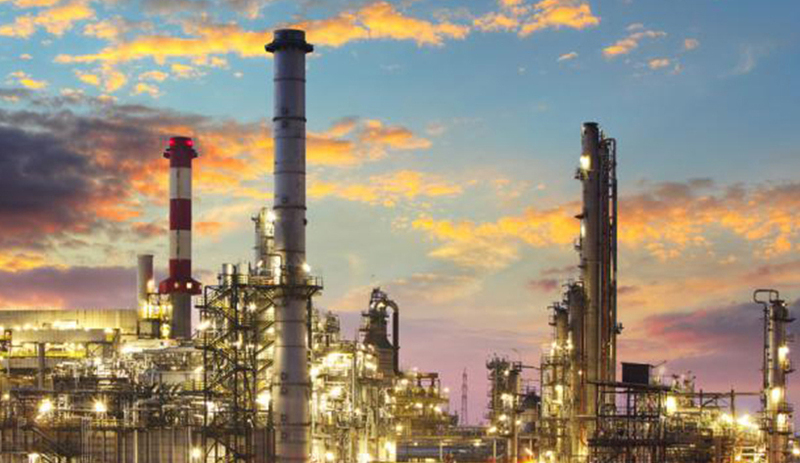 Petrochemical industries can be referred to as the downstream sector of the petroleum industry. These industries engage in the production of petrochemical products such as fertilizers, aromatics, polymers, etc. Caustic Soda is used as an intermediate and a reactant in processes of petrochemical products. It is also used for the regeneration of iron exchange for the production of DM water. 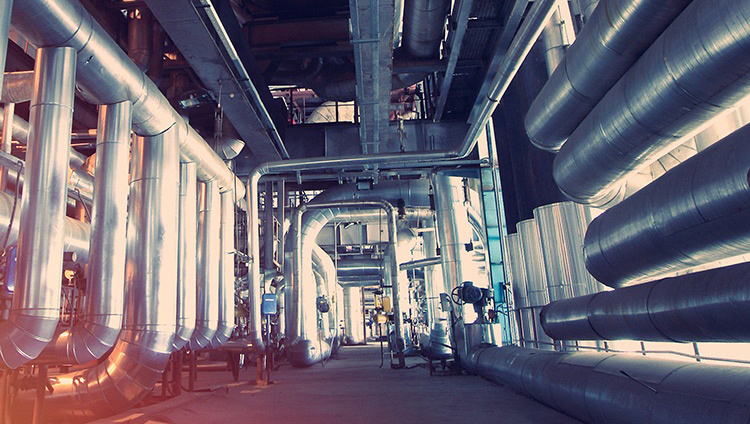 Hydrochloric Acid is used throughout the petrochemical industry for neutralization. The use of Sodium Hypochlorite is primarily utilized for wastewater treatment. Oil wells are drilled to reach hydrocarbon reservoirs for the purpose of oil and gas production. The exploration wells are drilled for exploration purposes in new areas while appraisal wells are drilled to assess the characteristics of existing reserves. Development wells are drilled for the production of oil and gas, and relief wells are drilled to stop the flow from a reservoir when a production well experiences a blowout. 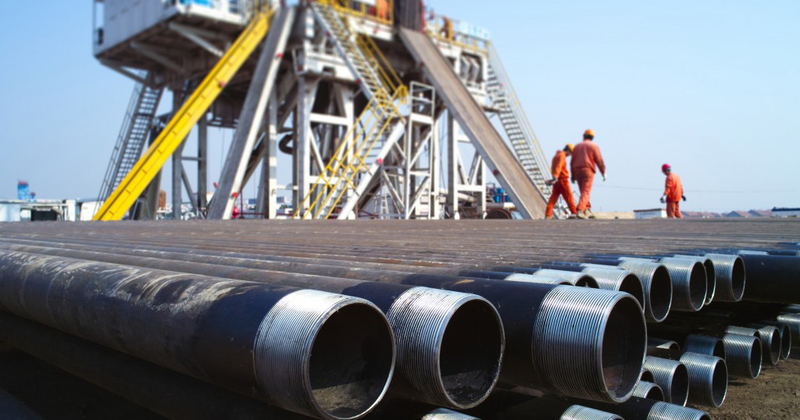 An injection well is made for injecting steam, carbon dioxide, and other substances to production units in order to maintain reservoir pressure or to lower the viscosity of oil. Hydrochloric Acid mixed with water is used to aid in the removal of obstacles that form in wells during the drilling process by acidizing carbonate or limestone formations and removing contaminants such as scale, rust, and carbonite deposits. In addition, HCl is used in the recovery process of oil operations in the field. Chlor Alkali products are used in various manufacturing industries such as paper, plastic, textiles, pharmaceuticals, fertilizers, medical equipment, paints, soap & detergent, metal processing, etc. Chlorine is mainly used for disinfection. 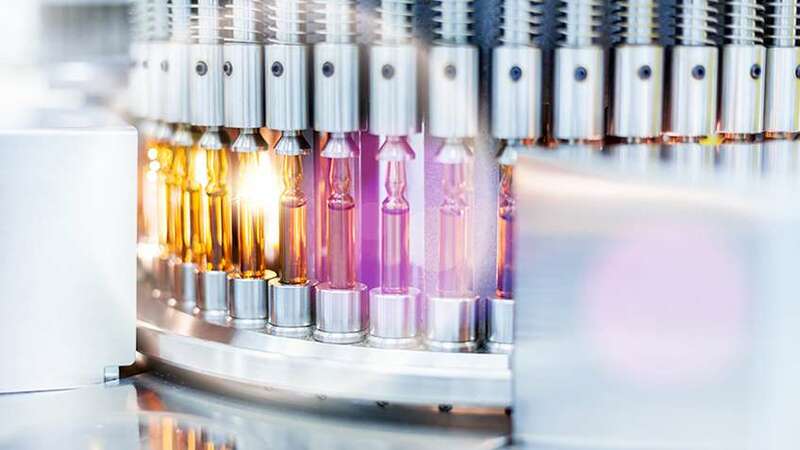 It also has wide applications in the pharmaceutical, medical equipment, paper, fertilizer, paint, and textile industries. Caustic Soda is generally used for chemical manufacturing and oil refining, and it is also widely used in the soap and detergent, metal processing, and food production industries. Salt is mainly used in food industries; however, it also has other applications in the oil sector for drilling, in addition to being useful for the pulp and paper industry, textiles, dyes & intermediates, pharmaceuticals, etc. Hydrogen is an essential part of many chemical processes. Hydrogen gas is used in the processing of petroleum products, and it is also used in the fertilizer and paint industries. It is also used to manufacture hydrogenated vegetable oils such as butter, margarine, etc. Hydrogen is commonly used in power stations as a coolant in generators due to a number of favorable properties that are a direct result of its light diatomic molecules. Hydrochloric Acid is mainly used in the production of organic compounds such as dichloroethane and vinyl chloride for PVC and in oil fields. Other applications are in the metal and steel industries, production of cleaning chemicals, pH control, regeneration of ion exchange resins, etc. Sodium Hypochlorite is used mainly for the production of disinfection chemicals. Other applications are in the agricultural, chemical, paint and lime, food, glass, paper, pharmaceutical, synthetics, and textile industries. Caustic Soda plays an important role for the food industry in a number of ways, as it is especially useful for washing or chemically peeling fruits and vegetables. 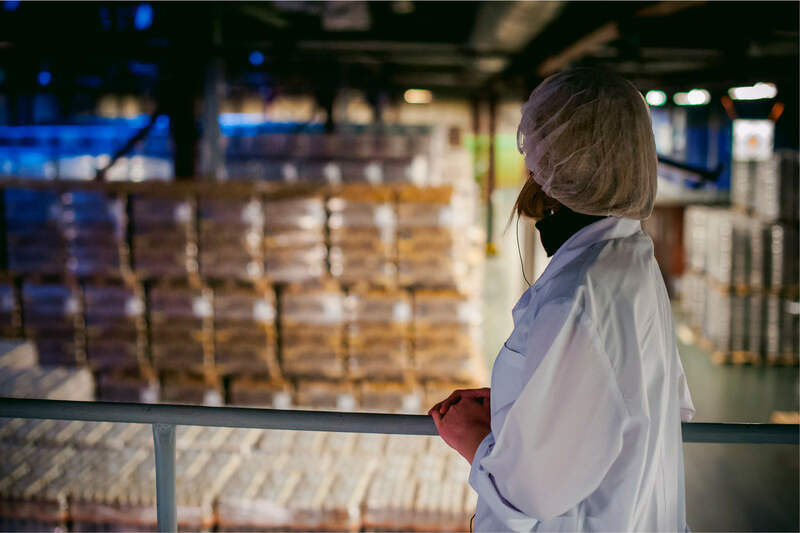 It also has utility in the processing of chocolate and cocoa, caramel coloring production, poultry scalding, soft drink processing, and ice cream thickening. Approximately 85% of all pharmaceuticals contain or are manufactured with chlorine. These drugs include vitamins and medicines that treat heart disease, cancer, ulcers, allergies, and more. An estimated 25% of all medical devices in hospitals contain or are made with chlorine compounds. In addition, IVs, blood bags, X-rays, mammography films, syringes, oxygen tents, diagnostic instruments, artificial blood vessels, and more all require chlorine in some form.